Open Mike Eagle's newest album is a masterpiece mural drawn in sidewalk chalk. Entitled ''Brick Body Kids Still Daydream,'' the album addresses gentrification, culture and family. A multi-talented performer, the comedian, artist and rapper approaches music with a postmodern approach, making the audience look at themselves through the lens of his art. 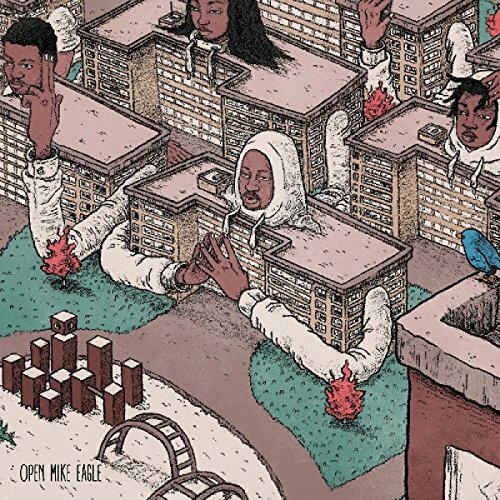 Open Mike Eagle's last solo album release, 2014's ''Dark Comedy'' was included on SPIN and Rolling Stone's Best Rap Albums of 2014 list and was called one of the most compelling indie-rap listens of the year by Pitchfork. In 2016 he released ''Hella Personal Film Festival'' with Paul White (Charli XCX, Danny Brown). The art rap MC, film/TV writer, podcast host and comedian polymath has also appeared on Marc Maron's ''WTF'' podcast and the Eric Andre Show, and has performed with Thundercat and Flying Lotus on Hannibal Buress' Comedy Central series. If you have any questions about this product by MELLO MUSIC GROUP, contact us by completing and submitting the form below. If you are looking for a specif part number, please include it with your message.